“ A Day of General Thanksgiving to Almighty God for the bountiful harvest with which Canada has been blessed – to be observed on the 2nd Monday in October. 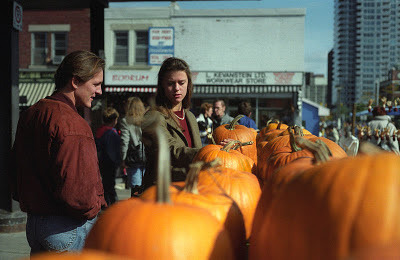 Shopping for pumpkins for Thanksgiving at Ottawa's Byward Market. This morning I sat down at the computer to prepare a blog about Thanksgiving, anticipating I would list at least some of the sources of my gratitude. Out of curiosity, I decided to do a little research on the origins of this annual Canadian celebration. What I found surprised me, going far beyond the usual images of Quebec settlers and First Nations people sharing their scarce provisions. I thought you might enjoy it too. The following is quoted directly from an article in Wikipedia entitled “Thanksgiving (Canada)”. It is a little longer than our usual posts, but very worth reading. Enjoy. “..Mayster Wolfall, [ Robert Wolfall ] a learned man, appoynted by hir Majesties Councell to be theyr minister and preacher, made unto them a godly sermon, exhorting them especially to be thankefull to God for theyr strange and miraculous deliverance in those so dangerous places,…” . “whiche number is not great, considering howe manye ships were in the fleete, and how strange fortunes we passed." The exact locations of Frobisher’s activities remained a bit of a mystery until the discoveries of the American explorer Charles Francis Hall in Baffin Island nearly three centuries later in 1861. Years later, French settlers, having crossed the ocean and arrived in Canada with explorer Samuel de Champlain, in 1604 onwards also held huge feasts of thanks. They even formed 'The Order of Good Cheer' and gladly shared their food with their First Nations neighbours. After the Seven Years' War ended in 1763 handing over of New France to the British, the citizens of Halifax held a special day of Thanksgiving. Thanksgiving days were observed beginning in 1799 but did not occur every year. After the American Revolution, American refugees who remained loyal to Great Britain moved from the newly independent United States and came to Canada. They brought the customs and practices of the American Thanksgiving to Canada. Lower Canada and Upper Canada observed Thanksgiving on different dates; for example, in 1816 both celebrated Thanksgiving for the termination of the war between France and Great Britain, the former on 21 May and the latter on 18 June. In 1838, Lower Canada used Thanksgiving to celebrate the end of the Lower Canada Rebellion. Following the rebellions, the two Canadas were merged into a united Province of Canada, which observed Thanksgiving six times from 1850 to 1865. The first Thanksgiving Day after Canadian Confederation was observed as a civic holiday on April 5, 1872 to celebrate the recovery of the Prince of Wales (later King Edward VII) from a serious illnesses. Starting in 1879 Thanksgiving Day was observed every year, but the date was initially a Thursday in November. The date of celebration changed several times until, in 1957, it was officially declared to be the second Monday in October. The theme of the Thanksgiving holiday also changed each year to reflect an important event to be thankful for. In its early years it was for an abundant harvest and occasionally for a special anniversary. 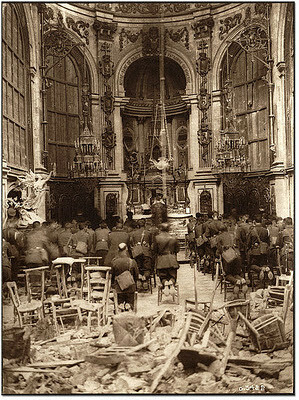 Canadian troops attend a Thanksgiving service in the bombed-out Cambrai Cathedral, in France in October 1918. After World War I, an amendment to the Armistice Day Act established that Armistice Day and Thanksgiving would both be celebrated on the Monday of the week in which November 11 occurred, starting in 1921. Ten years later, in 1931, the two days became separate holidays, and Armistice Day was renamed Remembrance Day. From 1931 to 1957, the date was set by proclamation, generally falling on the second Monday in October, except for 1935, when it was moved due to a general election. In 1957 Thanksgiving was permanently set to be the second Monday in October.